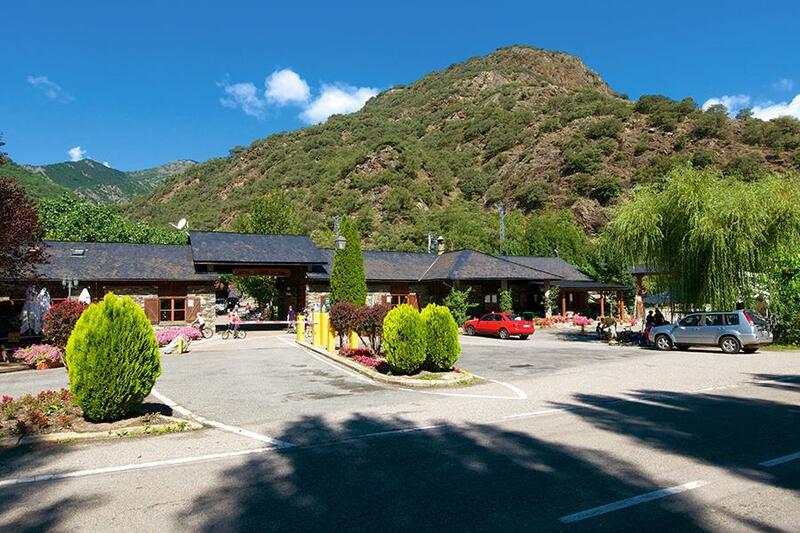 Camp for €18,- a night at Campsite La Borda del Pubill in low season with CampingCard ACSI. Campsite La Borda del Pubill, located in Ribera de Cardós (Lleida), is a campsite with 154 touring pitches and 46 year round pitches. With your CampingCard ACSI you can camp on one of the pitches during the following periods: 01-01-2019 - 14-07-2019, 01-09-2019 - 03-11-2019, 01-12-2019 - 20-12-2019 and 27-12-2019 - 31-12-2019. At this campsite you can not only use your CampingCard ACSI for inexpensive camping, you can also use your ACSI Club ID (as an alternative ID). A level campsite with shady, marked-out pitches, close to a river. It has everything you need for a comfortable stay, as well as a pool and mini-golf course. Good base for mountain trips and mountain biking. Restaurant at the campsite, and day trips possible by both bike and car. Would you like to book Campsite La Borda del Pubill or request more information? You can do both using the information below. At the power plant in Llavorsi on the C13 Sort-Esterri d'Àneu, exit to Ribera de Cardós. Campsite is 300 metres after the village. CampingCard ACSI will send your information request to "Campsite La Borda del Pubill".